$450 for local pick up. $540 shipped anywhere in the US except for AK, HI, and PR. Please email/PM me for shipping quote. To get a PAYPAL invoice, please email/pm me your PAYPAL email address and phone number. Thanks! Last edited by [email protected]; 11-11-2011 at 01:51 PM. 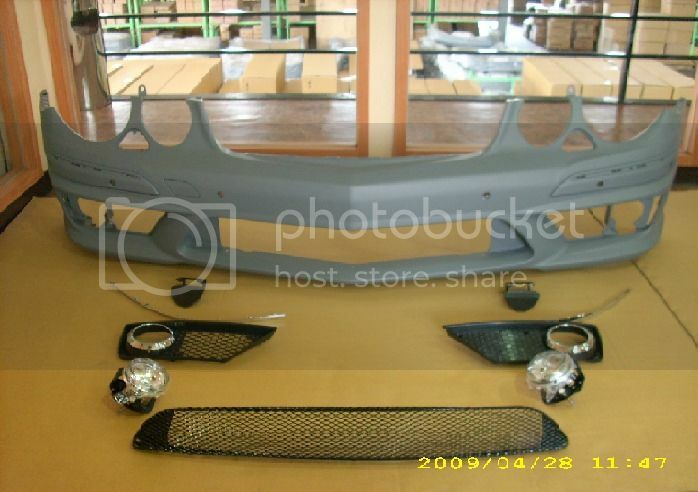 A little off topic, but can you get the 2012 C63 Bumper w/ LEDs and grilles? What material? Can you pm me a price shipped to PR 00953? Also, can it be had without parktronic? Pmed to, GT-ER. They come w/ PDC only. If you easily fill the holes if you want. I filled on my the OEM SL63 bumper and no problem at all. They came in last Monday. I almost forgot about them. 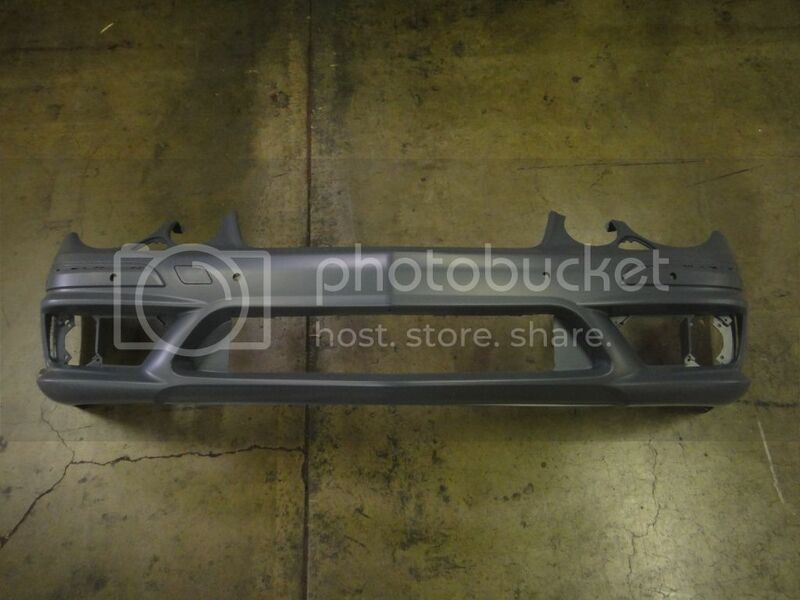 Complete E63 OEM bumper, except for the hood grill, correct? Any chance of more shots at different angles? Thank you. I will get off my lazy *** and take some pictures tomorrow. 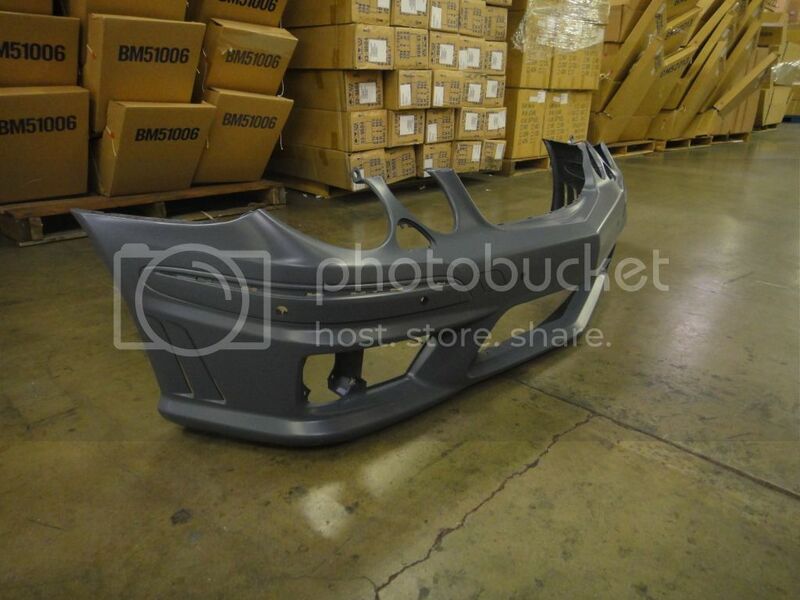 Any pictures of the bumper installed on a car? polypropylene at this price with everything would be outstanding provided the fit/finish is there. It sure beats the fiberglass junk. For the parktronic, easy to fill. I did mine. Just do not use bondo or similar junk, use polypropylene compatible repair material. See signature. Great seller guys, honest and easy to deal with! E63 front end is the way to go gents. Many compliments from folks already on my conversion. Is the OEM also made by polypropylene ? 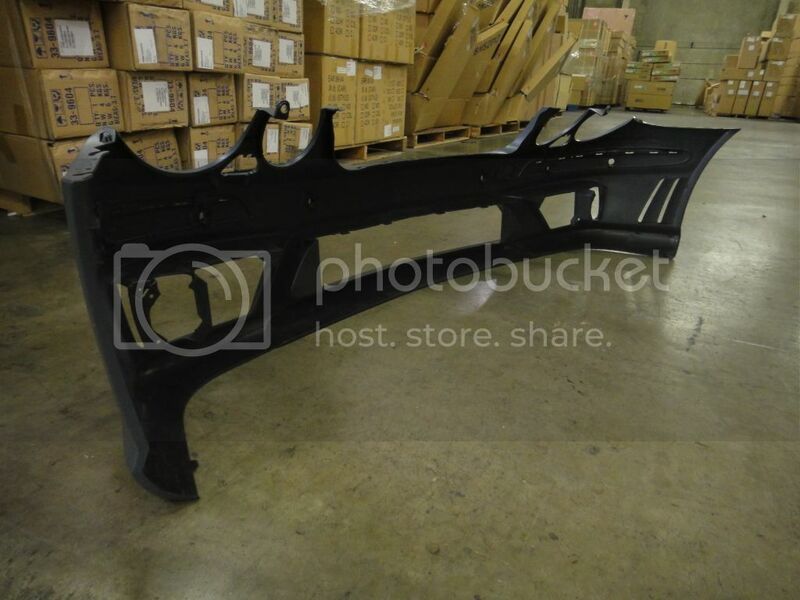 I remember reading some article that the new bumpers are all polypropylene. They are more flexible, durable and don't chip out the paint as fiber glass.